Last year, a Johns Hopkins study concluded that medical errors may be the third-leading cause of death in the United States. 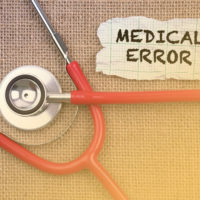 One of the most common types of fatal medical errors are errors regarding medication administration. Surveys indicate that about 7,000 deaths occur across the US each year due to medication errors. While nearly any medication can be dangerous when administered to the wrong patient, there is a group of drugs that are more likely to cause permanent or fatal harm to patients than others. These drugs are known collectively as high-alert medications. Read on to learn about the four categories of high-alert medications, and contact a seasoned Hudson Valley medical malpractice attorney with any additional questions. Insulin drugs: Insulin regulates the blood sugar. When patients do not have a natural insulin regulation system, due to conditions such as diabetes, a failure to administer a precise amount of insulin can be fatal. Many insulin errors occur due to differences between the amount of drug administered by different types of insulin syringes and pens. Opioids: These drugs are some of the most powerful pain killers and carry great potential for overdose and addiction. Most often, these drugs cause harm when they are prescribed in an incorrect amount. Almost half of all adverse health events in hospitals related to opioids result from patients receiving incorrect dosages of the drugs. When patients receive patient-controlled analgesia (i.e., pain-killer) pumps, these devices can cause harm to patients if they are not properly programmed, or if medical professionals use the wrong form of opioid drug in the pump. Anticoagulants: These drugs prevent the formation of blood clots and are prescribed to patients at risk of suffering a stroke or embolism. When patients undergo surgery, they must stop taking anticoagulants to prevent excessive blood loss during surgery. However, should doctors forget to restart their anticoagulant regime, these patients are highly at risk of forming blood clots that could cause serious or fatal health consequences. Sedatives: These drugs are most commonly issued to patients who are about to undergo surgery. If an excess quantity of sedatives are issued to patients, they can become dizzy, lethargic, or disoriented. When administered along with opioids, the drugs may cause the patient’s central nervous system (which includes the spine and brain) to become dangerously depressed. If you or someone you love has been the victim of a high-alert medication error and you need money to help cover your medical expenses, lost income and other damages, contact the seasoned and knowledgeable Hudson Valley medical malpractice lawyers at Rusk, Wadlin, Heppner & Martuscello, LLP for a consultation, at 845-331-4100 (Kingston), or 845-236-4411 (Marlboro).